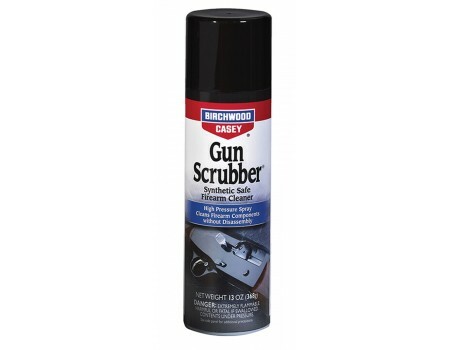 Birchwood Gun Scrubber Synthetic Firearm Cleaner makes cleaning your firearms easier and faster. The cleaner is pressurized and fast evaporating that cleans internal metal firearm parts and eliminates firearm jams while improving accuracy and reliability. Excellent for firearms, muzzleloaders, air rifles and automobiles.